Belgium is a favorite destination for food lovers, and after just one visit you’ll understand why. 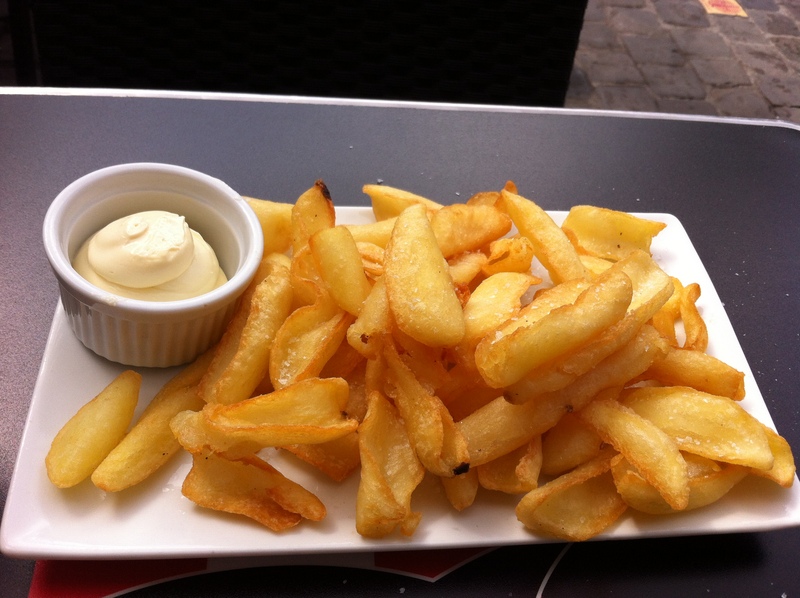 Arguably the best version of a fried potato in the world – the Frite, also known as Patat in Dutch, comes from Belgium. They are made with the bintje potato, which are grown mostly in the Netherlands and Belgium, and resemble our Yukon Gold in shape and texture. Cut thick like steak fries, they are fried first at a lower temperature to soften them up, then finished at a high temperature when ready to serve. This technique is what gives them their fluffy interior and crispy exterior. The Belgian Frite has been known to convert the biggest food snob who would never touch a french fry into a Frite-craving monkey. When in Belgium and the Netherlands, I treat an order of frites as a meal in itself, enjoying it with just a bit of dipping sauce, and maybe a beer. All around Belgium you’ll find lots of frite stands, or Fritkots, where they are served in a simple paper cone with a choice of sauce, always hot and fresh out of the fryer. According to the website belgianfries.com, the first Fritkot on record was that of a Belgian names Fritz in 1825. So, Belgian has been perfecting this for almost 200 years and I for one hope they continue to make them for another 200!